I’ve always maintained that Tunbridge Wells is a pretty good place to go drinking. For a town of its size, this Kentish town I call home has a remarkable array of watering holes catering from typically traditional to terrifically trendy. I’ve been meaning to write about the town’s beer scene for some time. There’s a half-written blog post in my drafts somewhere detailing the best Tunbridge Wells beer that I’m hoping to finish eventually. Particularly since the opening of Fuggles Beer Cafe in the town centre in 2014, the scene has really blossomed, with many venues upping their game and improving their offer. There’s enough quality and variety to satisfy the most ardent of beer geeks, and a real sense of togetherness and community around the town’s many pubs. 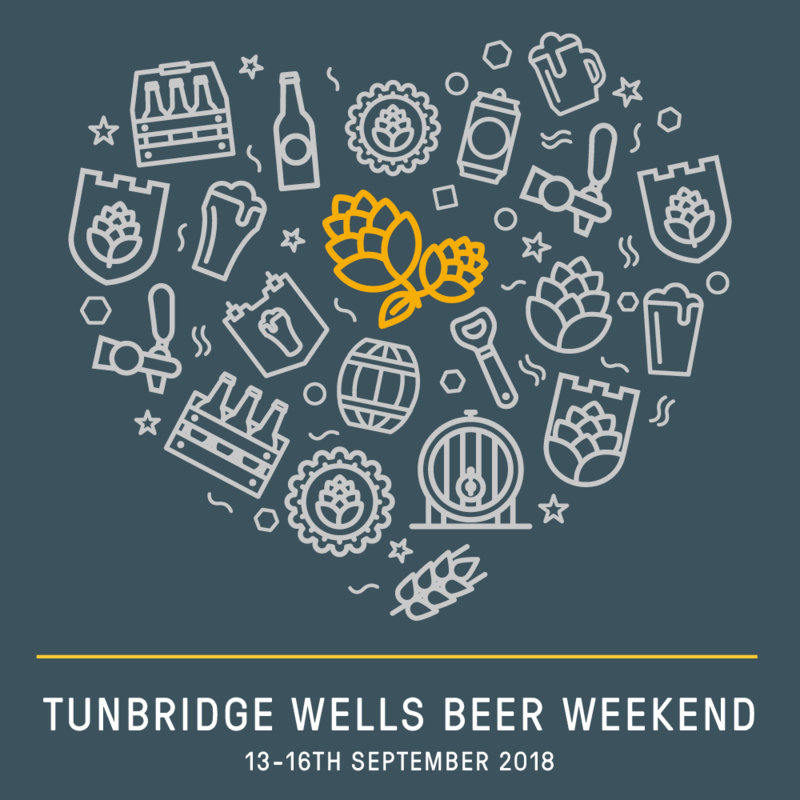 Today, I’m delighted to be able to announce that - following in the footsteps of many much larger and more well established drinking towns -Tunbridge Wells is to host its first ever ‘Beer Weekend’ this September. Running between Thursday 13th September – Sunday 16th September, the event is being put on by nine venues across the town to celebrate and showcase the very best of the local scene. The venues taking part are: Pig & Porter Brewery, Fuggles Beer Café, The Pantiles Tap, Sankeys, The George, The Ragged Trousers, The Beer Boutique, The Royal Oak and The Bedford. Event details are still being finalised but will involve talks, tastings, tap takeovers and brewery open days, a homebrew class, a cask beer festival, live music and special food events throughout the weekend. I’ll be heavily involved with helping to promote and organise the festival and will also be hosting a beer and food pairing event at my dad’s pub, The Royal Oak, which I can’t wait to tell you more about in the very near future. “Over the past 5 years the local beer scene has evolved dramatically,” Alex Greig, owner of Fuggles Beer Café tells me. “We’ve got a fantastic selection of pubs and beer in the town so be to able to put on an event that highlights this is great. “I’m really looking forward to all the varied events we’ve got going on across the town and just generally celebrating our local beer scene!” “Beer has always been at the forefront of what we do at Sankey’s,” adds Matthew Sankey, of Sankeys Public House. “From the really early days we have championed small independent brewers from around the UK and further afield. “We are also huge advocates of independent pubs, bars, restaurants and even beer cafes, so to be able to work with like minded independent businesses in Tunbridge Wells is an absolute delight. Tunbridge wells Beer Weekend is a celebration of exactly that and I cannot wait"
Tunbridge Wells Beer Weekend is being organised by Tunbridge Wells Food Month in association with Tunbridge Wells Together. More information can be found on the event’s website, or on its dedicated Facebook page.